Easier than buying nests from the dollar store (which I did with my Butterfly Branch Centerpiece). The sun was shining yesterday and the thermometer read 57 so I’m thinking spring. 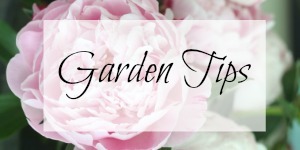 What’s your favorite simple spring decorating tip? I have two big bags of Spanish moss in the freezer (to kill the creepy crawlers) that I “borrowed” from the neighbor’s tree. Planning on making mini nests for a shelf project for our daughter. Printed lots of fun graphics with bird sayings, etc.- she’s having 3rd baby in July…. retiring from Navy after 20 years in Aug. This is a great Easter project too. No shortage of sm here. This is a great tip, Kelly. 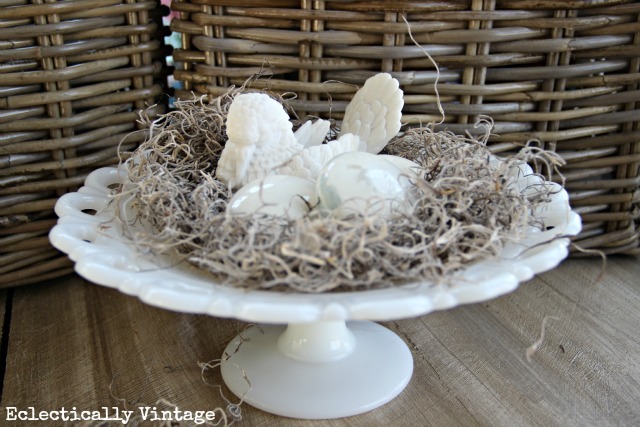 I used to really covet all those cool bird’s nests that it seemed like everyone had – except me, that is. No more! I got you beat–I just collect mine from our autumn clematis after they’ve been abandoned. Put it in a ziploc bag for a few days so that any bugs get smothered, and voila! 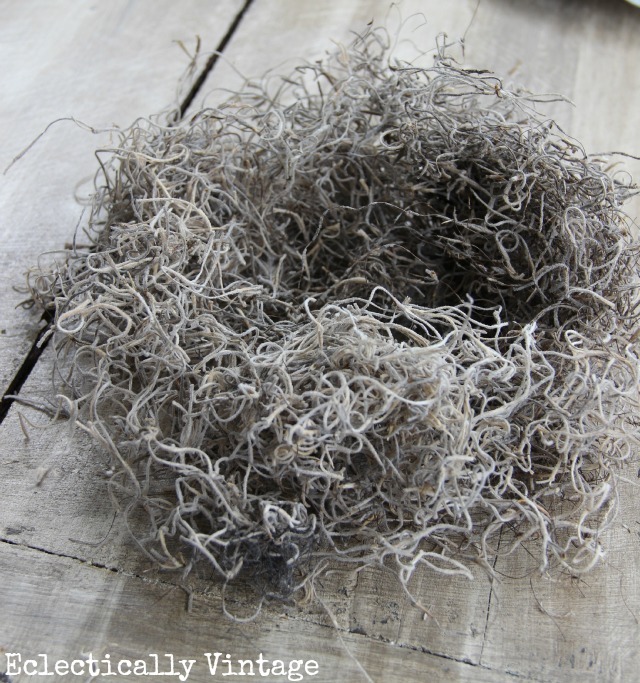 Gotta love some moss bird’s nests! Cute and easy — just my speed, Kelly! Great tip. So easy … and I love those doorknob eggs. Great tip!! I bring spring in with fresh cut tulips….. But here it is COLD!! -15 celsius……..tha’s cold!! Great idea and looks so cute. 57*- not check. Thermomo tells me it’s 10* below zero. Wonderful! I love the look and how simple it would be to make! Thank you for the inspiration! That is such a fun idea! I am totally filing this under…..”Why didn’t I think of that?” LOL! And I LOVE those door knobs! They would look great with my first aid kit! Door knob eggs … perfect! I am a nest girl, so I love this. This is so cute and fun! Love the doorknob eggs! 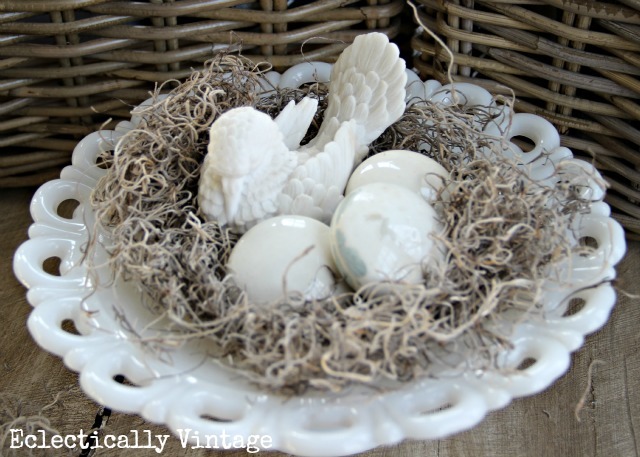 I love birds and bird’s nests! This is such a great idea! Beautiful! 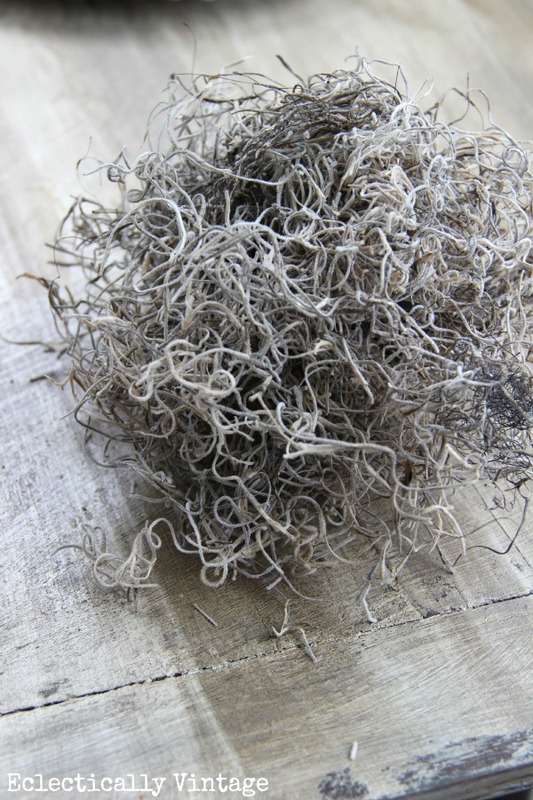 I found my Spanish Moss when I cleaned my craft room. I KNEW I had some. LOL. Great idea, you just saved me from trekking thru the woods looking for birds nests! Now that’s fast and beautiful! It’s almost as fast as the christmas ball that I found on the side of the road and plopped into a statue in the garden. A one minute gazing ball! I’m so ready for spring. Mother Nature has been messing with us folks in Michigan. A few days ago it was 47 degrees and today it is 9 degrees. Last night it was -15 with the wind chill! I’m so ready for spring! I often wonder how all the birds at my feeder survive these cold winters because I’m a wimp. Awesome tip and tutorial, Kelly … beautiful bird and eggs, too! I love splashing eggs, birds and bunnies around for Spring … just wish the weather wasn’t freeeeeezing outside today! 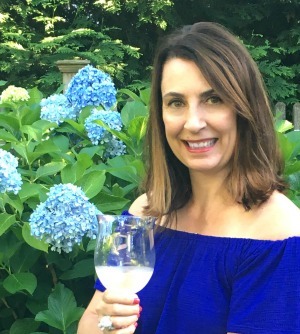 Love your simple next Kelly! That reminds me I have a nest from my mama I need to get out. Such a great idea Kelly! Looks great and love the compete that it rests on!! What a cute idea! I love the door knob eggs,….very clever! I have a few old door knobs so now I know just what I am going to use them for!!!! Gotta love adorable and simple! not only the easy, but absolutely adorable too! Cool idea, and Easter / Spring is coming! (Even though it is 0 degrees here now). How adorable. I love simple projects. This I can handle. LOL. A great idea! 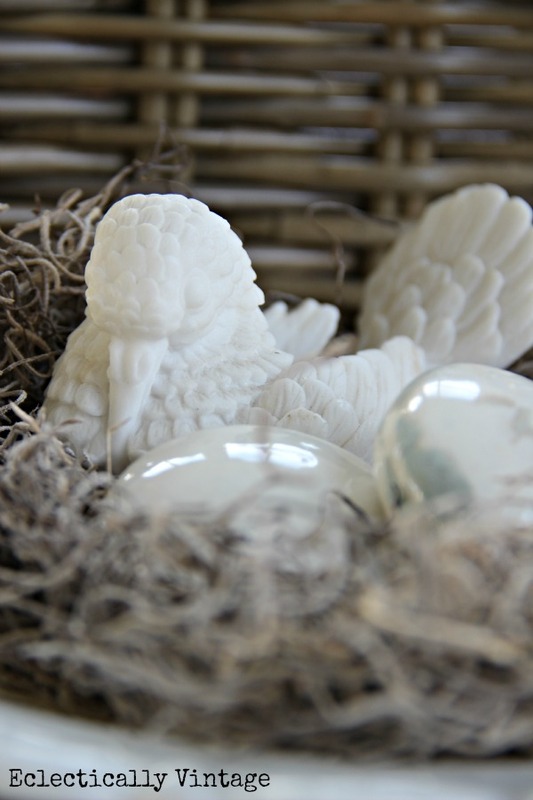 I don’t have any porcelain doorknobs laying around but there is a dollar store nearby where I can maybe get some Spanish moss, and I’ve got a pair of birds that look much like the mama bird you used in your nest vignette. Maybe I can do something to jazz up some of my cheap colored plastic eggs from last Easter/spring’s display 🙂 Visiting from Savvy Southern Style. Such a great idea, one of those “why didn’t I think of that”. Love it, so easy and so cute. This project is definitely something to chirp about!